Soule Monde are quite likely Vermont's smallest supergroup. The avant-funk outfit boasts but two members, drummer Russ Lawton and organist Ray Paczkowski. Still, their collective résumé is remarkable. Soule Monde was born of Lawton and Paczkowski's collaboration in the Trey Anastasio Band — Lawton has been a member of the Phish guitarist's solo project since 1998, Paczkowski since 2001. That alone cements the duo's credentials, particularly among the jam crowd. But their local musical lineage runs much deeper. Lawton has been among the state's most highly regarded drummers for decades and has logged time with Strangefolk, Phish's Mike Gordon and the Grippo Funk Band, among others. Paczkowski was a member of the genre-busting antacid jazz band viperHouse and a founder of the similarly progressive trio Vorcza. He also canoodled with Dave Matthews & Friends for three years. We could go on. Given those robust bona fides, it sure seems like SM should be one the state's biggest bands. 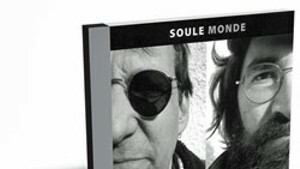 Yet Soule Monde retain a rather low profile, gigging selectively and offering a slim recording catalog. The duo is elusive, which makes it all the more special when it does appear and, more germane to our purposes here, make records. Smashed World is Soule Monde's second record, a follow-up to their self-titled 2012 debut. Though a scant five cuts long, it's a fiery collection that detonates with explosive energy from the beginning and ripples with ingenuity throughout. Opener "Influence" is anchored on a funk-fueled call-and-response between Paczkowski's Hammond and Clavinet. Lawton's strutting backbeat is lean and limber but rises to a punishing frenzy when his partner unleashes a torrent of whirling sound from his organs. It's a sonic prizefight, and Lawton seems to have his partner on the ropes as the six-minute song nears its end, delivering a triumphant drum solo. But Paczkowski is merely playing possum, and he closes the song on a flurry of sinister licks with plenty of punching power in reserve. The two make amends on "Must Be Nice," which shimmies and shakes with an agreeable groove. Paczkowski's fuzzy Clavinet strokes are the centerpiece, shaded by plucky B3 swirls. Lawton sets the tittering beat like a human metronome. Next are a pair of live cuts — unsurprisingly, they're the longest tracks on the album. "Allaha Uya," recorded at Nectar's, features Twiddle's Mihali Savoulidis. Soule Monde need little help filling out their robust sound, but the jam guitarist does an admirable job of carving out space for himself without stepping on the duo's toes. "Tango," recorded at Brooklyn Bowl, is a reprise from SM's debut and works as a fine live companion to the studio version. The record closes on an instrumental cover of ZZ Top's "La Grange." The song's signature riff provides a playful foundation for heady improvisation, tying a bow on a fine and funky effort from Soule Monde. 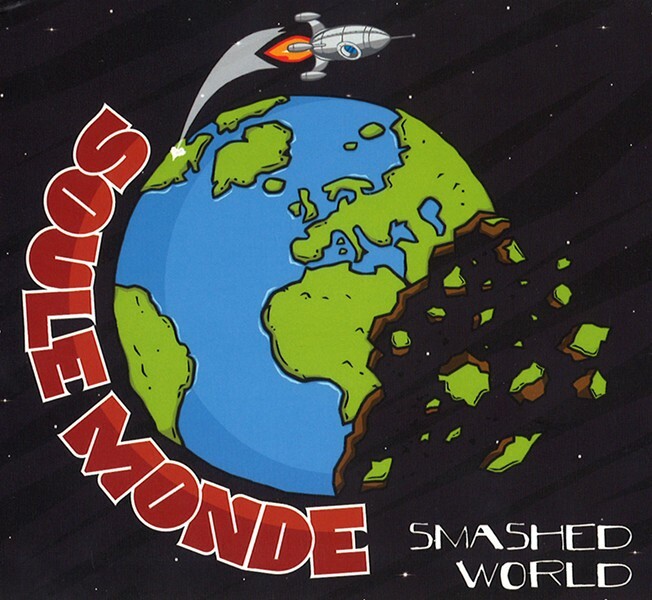 Smashed World by Soule Monde is available at iTunes and soule-monde.bandcamp.com.